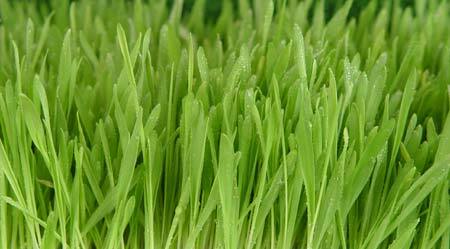 I am a big lawn guy and I love to keep my grass healthy, plush and green. I also enjoy MOWING! It is one of the pleasures of being a homeowner for me. I don't just want it a rich green, I want it weed and insect free, thick and enjoyable to walk through and look at. The curb appeal is nice too! If you don't want to mowas much, just don't fertilize or water. If you want a nice green, healthy, REAL (no artificial colors or materials) lawn, you must take care of it. That is part of the game. i did think of you aaron. But, you are the exception and not the norm of slothful 20-something year old men in this society. My dream is meant for them...specifically me. I want a work-free Wrigley infield on my front-yard at all times. If paint can turn albino dogs into dalmations, surely there must be a way to paint life into death. Just pour concrete and then hire an artist to paint individual blades of grass in the correct perspective. that would be freakin' awesome, except i like stepping on grass in the summertime. So, just so you understand how weird it is that you like to mow your lawn, what if I said that I LOVE shoveling my driveway. I mean, I like the look of it once it's done, but what a sucky chore. They're equivalent to me. No? I don't know if that is equivalent, simply because you like the result of a freshly shoveled drive, not the shoveling. I love every aspect of taking care of my lawn. Fertilizing, weeding, mowing, watering, etc.